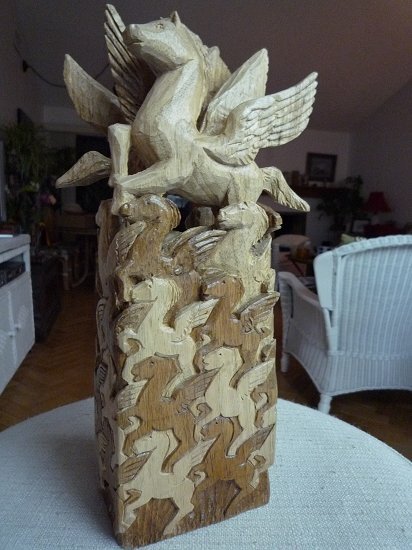 This woodcarving is based on a design of Escher. It is a three-dimensional piece of a winged horse tesselation. The flat tesselation wraps around the four sides at the base, then has more depth and shape toward the top, ending with two full horse figures. It is 2-1/2" x 4" x 12" butternut.